Do I Need a 1099 for an LLC? If you have paid for services by a limited liability company, the IRS may require that you issue a Form 1099 statement to the LLC. The rules for issuing 1099s to LLCs are somewhat complicated, however, and involve determining with exactly what kind of LLC you are dealing. If you are unsure, consult your accountant or tax advisor. Internal Revenue Service Form 1099 is a statement of money or other benefits paid to an independent contractor, subcontractor, or other business or individual who has performed services for your company, or who is owed money via contract. 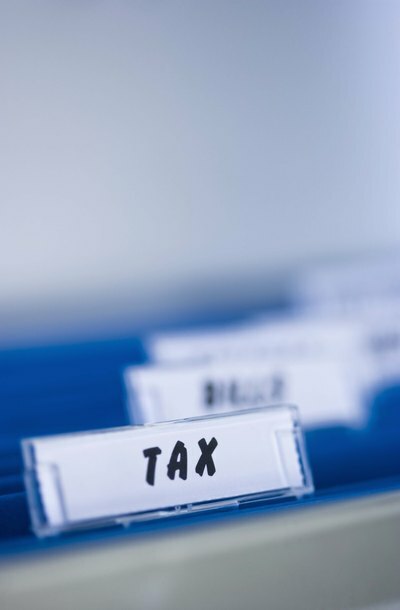 The IRS classifies the document as an “information return.” The issuer of a 1099 uses it to prove costs and/or expenses to the IRS; the payee uses the 1099 to figure taxable income. There are many different types of 1099, including the 1099-MISC, used to report royalties, rental income, and other payments; the 1099-DIV for capital gains and dividend distributions; and the 1099-S for real estate transactions. The IRS requires that you issue 1099s to any independent contractor who provided at least $600 worth of services to your business. Many businesses are unsure of the requirements for issuing 1099s to limited liability companies. The answer depends on how the LLC is treated by the IRS. For federal tax purposes, a limited liability company may elect to be taxed as a sole proprietorship, or Type D or "disregarded entity;" a partnership, or Type P; or a corporation, Type C.
If your payee is an LLC that is taxed as a sole proprietorship, you must issue the 1099 with certain information needed by the IRS. This includes the name of the sole proprietor, the name of the LLC and the Social Security number of the sole proprietor, which serves him as the tax identification number. If the LLC is taxed as a partnership, then the 1099 must carry the name of the business as well as its employer identification number, or EIN. You do not need to issue the 1099 to an LLC that is classified as a corporation for federal tax purposes. Corporations have strict IRS guidelines and different forms for reporting income that replace the use of a 1099. You may issue the 1099 to a corporation if you wish, but the purpose would only be to simplify your own recordkeeping. You also do not need to issue a 1099 to any LLC structure when you pay transaction costs for merchandise including the item cost, postage charges, delivery costs and storage. A limited liability company, or LLC, is a relatively modern business organization that provides business owners with a great deal of flexibility in management and taxation. The IRS does not have a specific designation for LLCs, so owners may elect partnership taxation or corporate taxation. But the IRS does have requirements regarding independent contractors. Therefore, LLCs that use independent contractors or other professional services typically fall within IRS 1099 requirements.